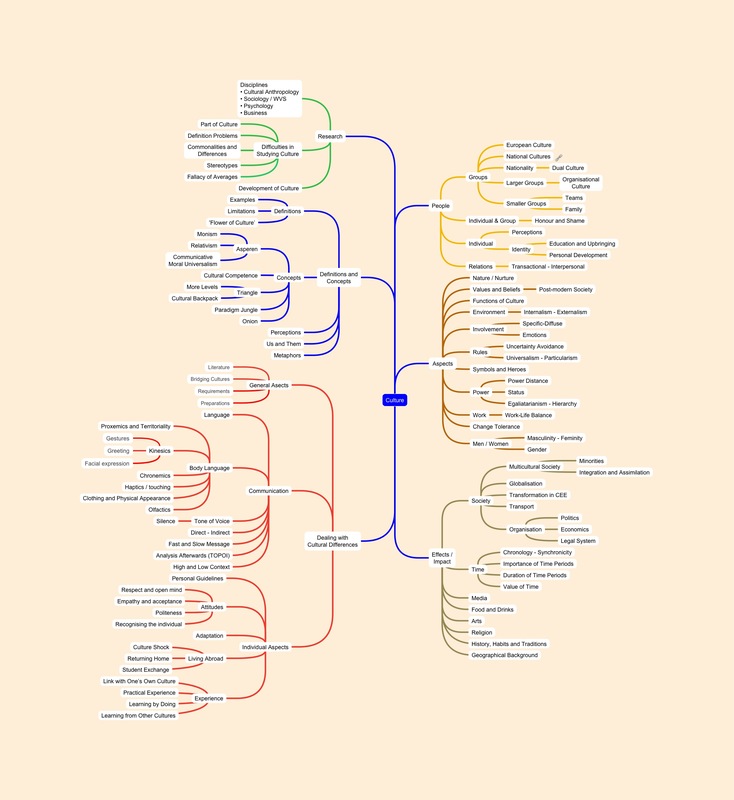 The mind-map itself is ready but we are still busy in linking topics with quotes. At the same time a similar mind-map but with links to the theory per topic is developed. Ultimately all of this will be turned into a game on the cultural competence. Depending the interest for this website further additions are considered, e.g. quotes from other sources.